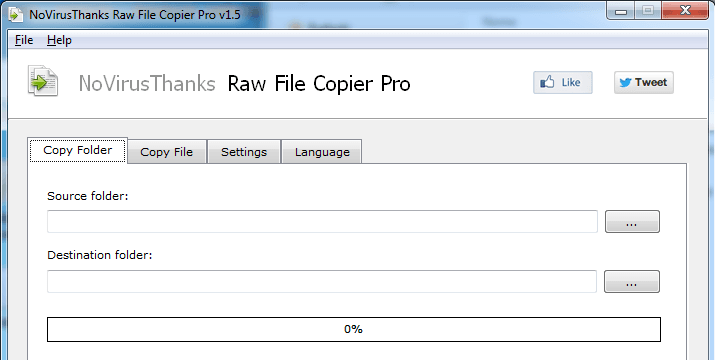 Raw File Copier Pro easily allows you to copy files while showing progress percentages as well as the ability to copy files which generally cannot be copied through traditional means in the Windows OS. An example of a file which cannot be copied due to built-in Windows OS protection is the SAM file which contains user password hashes, this file is no problem for Raw File Copier Pro, nor is other protected files alike. making data backups or directory cloning a simple task! Copy files which generally cannot be copied, locked or in use by other programs. Copy Windows OS protected files, such as SAM (Security Account Manager) file. Copy entire directories or sub-directories recursively keeping the same hierarchy. You can choice to copy only files that match specific file extensions. There is an option that allows you to automatically shutdown the PC when done. You can copy single files that are larger than 50 GB, 100GB, 200GB, etc.